Erica and I have been working hard to bring you the 4th ATX Blogger Mixer! The event will be held on Thursday, August 6 at Austin's luxury boutique FOUND from 6-8pm! Enjoy complimentary appetizers, sweets by Simon Lee Bakery, and cocktails by Austin Cocktails. We're excited to have the talented Kelly Wynne, owner of Kelly Wynne Handbags, as our guest speaker. We'll have some amazing giveaways from Mirror Mirror Salon, Beaded by W, Melissa Glynn Photography and a Kelly Wynne Handbag! The event is free, please RSVP here! During the planning stages of our mixers, there are definitely times when Erica and I become very weary and a bit over it, BUT we remember how fun the previous event was and know it will all be worth it! We love the feedback we get from bloggers when they tell us how much they loved the mixer, and how they formed true relationships with other bloggers. It's fun to have a night out with friends that really "get" you and blogging. They understand your creative mind, and many inspire you to be more creative and tap in to the big ideas and dreams that you've been putting off. We've had many women attend our mixers that don't even have a blog, but are inspired to start one and they just want to ask questions and be inspired. I give those ladies a pat on the back for having the courage to show up. It can be pretty intimidating in a room full of bloggers, some very big and some not, but that's ok! If you are in Austin, and want a fun night out with some of the most creative, inspiring, and entrepreneur minded women in the city...please join us! I promise you will be welcomed by a room of friendly faces. 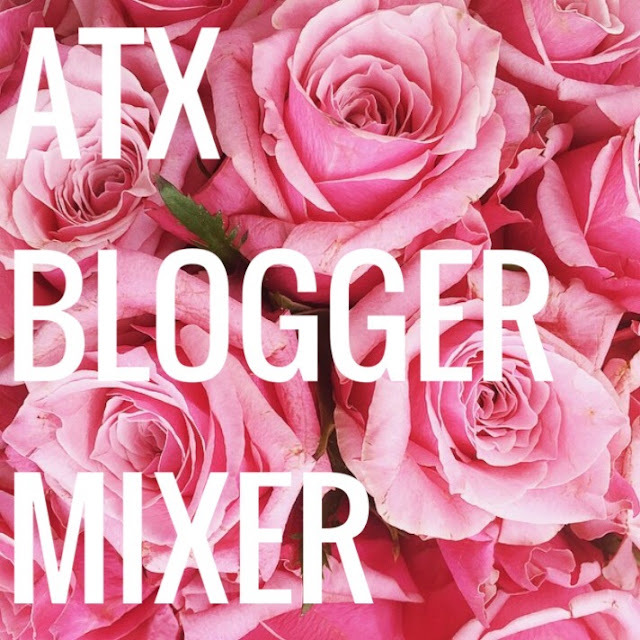 Check out #ATXBloggerMixer for previous event photos. Went to the best roof top bar nyc for a great all-you-can-eat buffet and they held nothing back. Their food, service and mostly the staff were truly amazing. I was starving and am one of those voracious "sampling" type eaters who has to try everything in a buffet, and I couldn't make it!